That’s a quote by the Chinese philosopher Laozi and it’s particularly relevant to new bloggers. That first step is the most important one, but what does it entail? Let’s say you bought a domain, set up hosting, and installed WordPress. What comes next? How do you start blogging with the end in mind? Here are ten things you should do on day one of your blog (or today, if you’re past day one). Chose a specific audience with problems that you know how to solve. Always start with an audience, not a topic. Choose to help people that you are qualified to help. Found and subscribed to the top related blogs in your niche. Use the How to Get Bloggers to See and Follow Your Blog post to find out how to find other bloggers in your niche. Then subscribe to their feed and start following their posts. Read free posts, ebooks, and resources from your niche. Once you’re subscribed, spend a few days reading the free posts and ebooks they give you. Read both for the content and to see how they do what they do. If you’d like more of my thoughts on any of these steps, let me know in the comments. Here are three technical components of your blog that you need to take care of prior to writing a single post. The money is in the list … If I could do one thing differently, I would have started building my list earlier … The most important call to action for bloggers is to encourage people to subscribe. You’ve heard all of that countless times. You can’t start building your list until your site has opt-in forms. We use Aweber for our email marketing. Right side of the header. Your about page will be one of the most viewed pages on your site because readers like to know the people behind the site. What will this website do for the visitor? Followed by an opt-in box. Establish yourself as an expert. Followed by an opt-in box. Build a personal connection with your story. Finish it up with an opt-in box. Treat your about page as a sales letter for why somebody should follow you and your site. If you do a good job, they’ll want more information from you, hence the opt-in. I list my email, Skype ID, Twitter, LinkedIn, Facebook, and Google Plus. Sometimes people prefer to email you directly from the site. Include a contact form by using the Contact Form 7 and Really Simple CAPTCHA plugins. Once you have the technical components of your blog worked out, it’s time to focus on the most important part, the content. 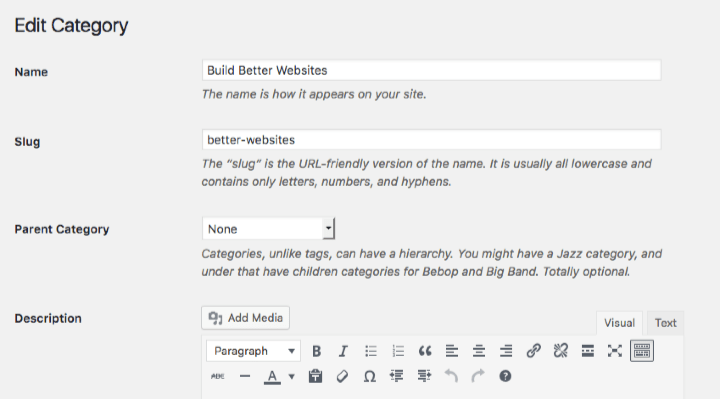 Within WordPress, you create categories for your posts. These categories help organize your site both for your readers and for search engines. Category pages display your archived posts based on the category you choose. To set up your category pages, go to Posts > Categories and be sure to include your meta data as well as an introductory headline/content. After you create the category pages, think about how you can create a pillar article for each category. A pillar article is different than a category page in that it’s an ultimate resource post (i.e. 101 Ways to Make Money Online) with links to your in-depth articles. These posts get lots of traffic. You can even create a secondary navigation menu, like the one on Income Diary, to highlight the pillar articles on your blog. Once you’ve chosen your categories and pillars, start brainstorming different posts that solve problems and fit within the scope of those categories. I like to brainstorm with a notebook and a white board. To aid in and filter down this brainstormed list, do a little keyword research to figure out which keywords and blog post topics people are searching for. To do this, go to Ahrefs and type in your keywords in their keyword explorer tool. It will tell you how many people are searching for your search term. This is a very important step. If you create a post using keywords that no one searches for, you won’t get much traffic. An editorial calendar is a fancy term for planning which blog posts you’re going to write and publish on which days. You can simply schedule your blog posts in a planner/calendar. If you’d like to take this process to the next level, you can use the Editorial Calendar plugin. This step isn’t necessary but it will keep you focused and on schedule for creating content for your blog. One of the biggest mistakes that new bloggers make is that the start telling people about their blog when they only have a few posts written. As soon as you start telling people about it, you have a responsibility to keep it updated. If you’re testing the blogging waters, start with writing 5 posts. Publish the first three, tell people about them, and schedule the next two. If you’re fairly certain you want to keep up with blogging, write 10 posts to see if it’s something that you enjoy doing. If you’re blogging to better your business, start by writing 20 posts. If blogging is your business, write 50 posts before you tell anyone. As soon as you launch, it’s going to be tough to keep up with a rigorous posting schedule. It’ll be nice to have a couple dozen posts sitting in the queue. If you’ve already launched your blog, there’s a good chance your posting schedule has waned since the first few months. Consider taking a hiatus so you can build up a stockpile of focused content and re-launch it in a few months. Man, you’ve had a busy day. The final thing you need to figure out before you start telling people about your new blog is your funnel system. The first step in developing your funnel system is figuring out what you want people to do. Maybe it’s to become a subscriber or purchase a product. This is the goal of your site. Getting somebody to purchase something from your site is like asking them to marry you. You can’t pop the question right away. You need to start by getting their phone number or email. Begin building trust by hanging out with them, giving them free content. After awhile, you’ll be in a relationship. Then one day they’ll trust you enough to buy. I have a feeling that you’re past day one on your blog. That’s ok. These things still matter. Even if you’ve been blogging for years, these tips will help revitalize your blogging as though it’s day one all over again. Sometimes it’s nice to go back to day one. You were probably pretty excited about what you’re doing now. Keep up that enthusiasm and let me know how I can help. Even though I’ve had my blog for over 3 years now… this is an amazing refresh of the basics! And a few of them I totally forgot! You are dead on about the About Page… I checked my stats and saw how many visitors go there and made sure to add my optin form there and it has helped in a BIG way. Thank you, thank you fellow Marketing Maverick! Haha… You’re welcome, Ken! For that about page tip, I have to give the credit to Derek Halpern. He argues that every page should be treated as a sales page, and I can’t disagree. I agree with you.. its always good to go back to day one, and see if there is something you have missed at the beginning that can still be corrected to make better environment for you and your readers. Thanks, Sam. Yeah, I was a bit concerned that it might not be relevant to much of ID’s audience. But I’m glad you took it this way. I have a question about the number of post to start with and what about “likes” or “tweets”. If I start a blog with for example 20-50 posts and there will be no “likes” or “tweets” at the beginning – don’t you think it will make very bad impression. Even worse if 5 or 10 post without “likes”. Is it really so importnant how many post are at on day number one in Internet ?? Hey Teresa, I should’ve been more clear. Before you launch, write 20-50 posts, but schedule them. Then launch it with 3-5 posts. Over the course of the next few months, publish the rest of the posts and keep writing more based on the feedback you get. Does that make more sense? This is something that Syed Balkhi from WPBeginner told me, by the way. I think point number 9 is something many people do wrong. They tell everyone about their blog and they have 1-2 posts, and won’t update fast, so they loose the initial inertia. Somehow, I think most people won’t be able to to all these points in just 1 day, but rather in a week. 🙂 That’d be an epic day, huh?! I think people get antsy. Also, it’s incredibly hard to put weeks of work into something without getting any feedback. Sure, it could be interesting and very comforting. Challenge Accepted! In the event that you are running a music site, in attempt to teach independent musicians how to create a passive income with their music, what is an ideal way to target traffic and how should I make income myself? Hypothetically, Jake, I would figure out a system for making passive income as an independent musician. Then give away that system for free on your site. If you use certain tools, recommend those tools with an affiliate link. If they take your advice, they’ll make money and you’ll make money. The hard part is figuring out that system. Yeah, that’s one of the benefits to me personally. Writing here makes me think critically about what I’m doing with my sites. Glad I can continue to help, Ntathu. This is an extremely helpful post. I’ve recently launched a blog of my own, initially wanting to have it as a journal to show other climbers how I’m going to reach my fundamental goal. Further on, I thought about ways of making money from it which will help fuel travelling to the gyms etc. In the beginning I had thought about private advertising, but it isn’t really a good idea to begin with when its a brand new website / blog. Advertisers want to know what sort of traffic and such your website is receiving before deciding whether to advertise or not, so after coming across Income Diary, i’ve finally found some others ways to help me on that matter. I’m glad we can help, Adam. Keep learning, man. And let me know how I can help. Yeah, I’ve been learning from lots of brilliant internet minds lately. The people who have the most success always put a lot more focus on the strategy than the tactics. As I mentioned in the post, I give all the credit to Derek for that one. Thank you Nicholas for this back to basics post. It is a good post even for those who have been blogging for a while. It reminds them of the fundamentals. For a newbie like me it helps me, but I feel kind of overwhelmed knowing these are the steps I should have taken like making a Editorial Calendar. I haven’t done that yet, but I have it in my mind what days I want to post. Right now I have been posting to build content, and it is steadily moving towards a set schedule! … I have noticed even with these steps making money online can be difficult. If you get advertisers its the constant work to have traffic and selling your own product takes capital to make a high value product. I have noticed most people making big money online have a team and sell their own products. After taking these steps what is the One most important task a Newbie blogger can take to make money online not including Amazon affiliate links or affiliate marketing? With this is it best for bloggers to have a set money making plan before starting a blog? Sorry for the long comment … Had a lot to ask. Your post Nicholas are always informative! For you, Abigail, maybe you can create an ebook with recipes for foods that fight depression. If you don’t want to make money with affiliate marketing, then you need a lot of traffic (minimum 1,000 pageviews/day) to make ads worth it or you need to sell your own products. And, yeah, it’s best to have a money making plan prior to starting. But I see blogging as a wonderful route for market research. Nick, i still do not get the issue with feedburner. Sincerely, I have a nice blog at ivblogger.com but I can’t just get to understand what feedburner really means. If you have some time kindly explain to me as a lay man. Hey Sheyi, FeedBurner.com is a tool that takes your RSS feed and makes it more accessible to other tools. It’s kind of like adding Analytics to your RSS feed. Income Diary’s RSS is burned with FeedBurner here: http://feeds2.feedburner.com/IncomeDiary. Any other questions? I guess i need to learn eerything about RSS and feeds. That should be my starting point cause we barely use those service in here. Thanks for the advice in taking a hiatus to build up a sort of “reserve” of posts. It’s easy to underestimate how busy you can get once you launch your blog and how much time it can take to get the word out, drive traffic, and do other marketing for the blog. I may need to take your advice in taking a hiatus. It’s tough, though, because the traffic to my website has increased and taking time away may mean not spending time on driving traffic in the meantime. But in the long run, it’s probably the best thing. Hey Melissa, to be frank, I haven’t posted on either of my blogs in a few months. Yet, traffic to both has stayed steady. 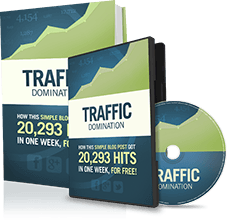 If you do everything right, traffic will stay the same, or even increase over time. Thank you for another detailed post. This really has answered a lot of the questions I had in mind when I asked you about this subject. For me, the greatest lesson has been to write a lot of posts & stockpile them ready to be published. I really do learn so much from you – thank you! I’m glad, Nick. It really helps to know that what I’m writing about here is helping people. Great Job. I am newbie in blogging arena and i didnt consider #2 and #8. Thanks for your tips. I would love to use it. #2 is important. #8 is a bonus if you can get to it. Glad I could help, Amit. I couldn’t agree more. When I started my blog I had about 10 or so posts in reserve. It is very hard for me to write every day so I now usually try to write a couple times per week + sunday, which is when I do most of my writing. Good, Jake. I admire that. How do you motivate yourself to keep 10 in the queue when you know you don’t have to? I remember the day I started my blog. It was a long time ago and I wouldn’t have minded this post then. I also listened to Derek on Pat’s podcast it was very inspiring. I actually asked Derek about my own blog and he did give me a few pointers on opt-in area too. Great post Nick, thanks for sharing. Awesome mahn !! you opened my mind thanks a lot !! yeah now its feeling like day 1 !! Awesome post! I just started my own blog a month ago, have been looking through income diary for helpful info. This article is absolute gold!